Lagos Marathon 2019: These Are Roads To Avoid On Saturday - AutoReportNG "AutoReportNG-The No 1 Car Blog In Nigeria That You Can Trust - AutoReportNG"
Due to the Lagos Marathon that will take place on Saturday, the following roads shall be totally closed to traffic between the specified time. 1. Alaka Service Lane inward National Stadium from 1.00am to 7.30am. Within the duration of the Lagos City Marathon, i.e. from 6.00am to 2.00pm. ➢ All vehicles from Ikeja and environs heading towards Lagos and Victoria Islands can go through Ikorodu Road. ➢ Residents of Lagos Mainland, Surulere and environs should avoid the National Stadium but can link Victoria Island through Iponri/Iganmu and Eko Bridge. ➢ Vehicles coming from Lagos-Ibadan Expressway can link Victoria Island through Ojota, Ikorodu Road and Eko Bridge. ➢ Vehicles from Badagry, Mile 2 and environs going to Victoria Island should go through Orile or Apapa to link the Eko Bridge. ➢ Motorists from Okota can go through Mile 2 to Orile, Eko Bridge to Victoria Island. ➢ Vehicles coming from Lagos-Abeokuta Expressway can go through Agege Motor Road (Mushin), and link Funsho Williams Avenue and Eko Bridge to connect destination. 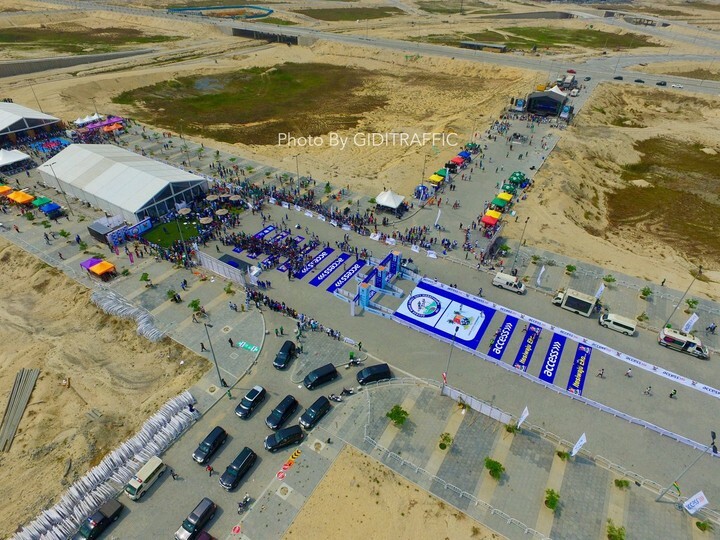 ➢ Vehicles coming from Lekki-Ajah Expressway can go through Lekki Phase 2 to connect Freedom Road, Cable Bridge and link destination. ➢ Ikoyi residents going to the Mainland can use the Alfred Rewane (Kingsway Road) to link Osborne then to the mainland.